A skincare manufacturer based in Finisklin since 1975 has announced that the plant is to close. An emergency meeting was held at GSK Stiefel this morning where workers were informed that the facility is to shut its doors on a phase basis over the next three years. The plant was previously threatened with closure in 2009 but efforts were made to invest in it and save over 100 jobs. Some positive news had also emerged in 2015 when it was announced that a recruitment drive would take place with a goal of employing 250 people by the end of the year. It is understood that 155 staff and 10 contract posts will be affected by the closure. 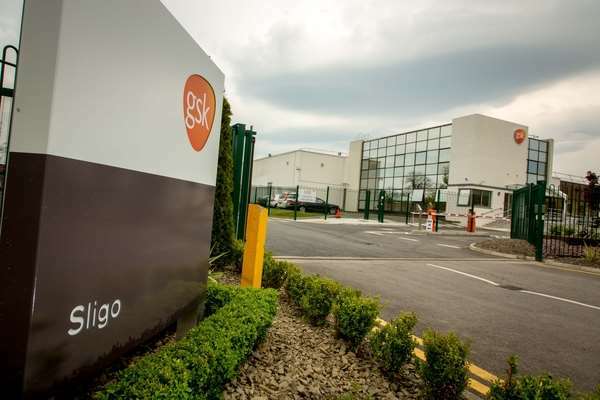 In a statement, Fine Gael TD for Sligo Tony McLoughlin has described this decision as “a very disappointing announcement for Sligo and the hard-working employees at the Glaxo Smith Kline operation here. “I understand that the closure of the plant in Sligo will take place on a phased basis, over three years, and that because of this many of the employees will remain in their jobs during this period. “Nonetheless, the Government will make every State support available to the workers at GSK in Sligo. The Minister for Employment Affairs and Social Protection is aware of the situation and we will be doing our utmost to help these workers transition and find new employment opportunities when the time comes. “While this news is deeply regrettable, the overall trend in terms of job creation in Sligo, is extremely positive. I wish to advise that the Government is committed, under the Regional Action Plan for Jobs, to continue providing quality jobs in Sligo to further support the most recent jobs announcements in Sligo in 2018 by Phibro (150), Abbvie (100), Abtran (350), E3 Retail (40) and Live Tiles (50). Fianna Fail TD Marc MacSharry has described this news as another blow for the North West. “My thoughts go out to the workers and their families today. This is devastating news for them. “The impact of these phased job losses over the coming years cannot be underestimated. This company has been a feature of the local community for over four decades and has been a major employer in the region. There is no doubt that these workers and their families are worried for their future given the uncertainty of this announcement. “These latest losses must act as a wake-up call for this government that investment is urgently needed in this region. PR launches and rehashed action plans are not enough. There needs to be a realisation that there is life beyond the capital and targeted investment in jobs and services is essential to improve the lives of people living in the regions”.